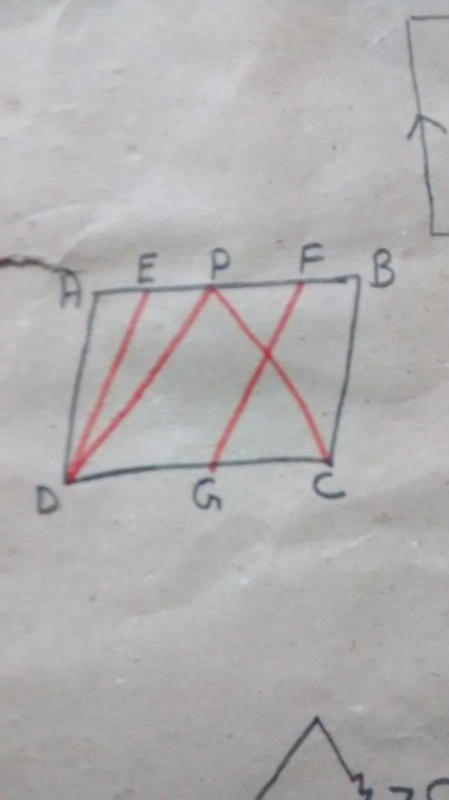 ABCD is a parallelogram, E is the midpoint of AB and F is the mid-point of CD. PQ is any line that intersects AD, EF and BC at P, G and Q. Prove that PG = GQ. ABCD snd EFGD are 2 //gms and G is the midpoint of CD. Then prove that ar ( DPC ) = 1/2 ar ( //gm EFGD) ?